An Edo Judge reportedly ordered that two inmates of the Federal Prison in Ubiaja, Edo state who were found guilty of stealing cassava be given 36 strokes of the cane twice a week after convicted. This was revealed by legal practitioner and a member of the NGO, Joint Legal Action Aid, Cyril Odiboh, who reportedly witnessed the incident. According to Cyril, he will be appealing the judgement with his team and will also research to know if the Judge went out of line in his judgement. 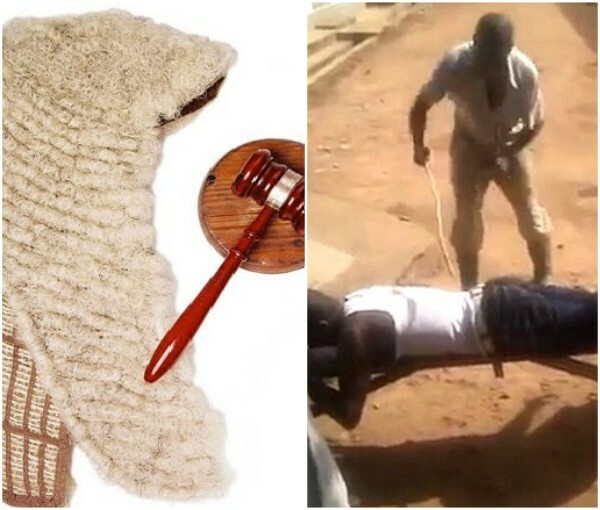 “FOUR INMATES of the Federal Prisons in Ubiaja, who were CONVICTED OF STEALING CASSAVA from their victims farm, were flogged thirty six strokes of cane respectively, in the Magistrate Court, yesterday. They have been receiving this hellish odeal every Tuesday and Thursday for the first three months of their twelve calendar months prison sentence. Only an appeal of the judgement can save the prisoners from the horrific experience I witnessed them go through at court yesterday. It is particularly of concern to me, more because no convicted fraudsters, politician or vandals of our common wealth has ever been sentenced to such hellish experience of thirty six strokes of canning twice in a week. Could it be because the convicts were too poor to afford legal representation? My heart bleeds for the poor and the needy who are tempted to steal food for their survival. Esan South East of Edo State must be a no go area oh. Pray not to be charged to the Magistrate Court in Ubiaja, it may become your road to Guantanamo concentration hell. Only an appeal to the high Court can vary the terms of their convictions. But unfortunately the high Courts are on break, until September. 0 Response to "Edo Judge reportedly orders convicted Prisoners who stole cassava be given 36 strokes of the cane twice a week"